As the world keep stepping in to advancement, there has been major shift in the economic balance of the world in the last few decades, and further change is anticipated as many economist predict for China to out do United States of America as the largest world economy. 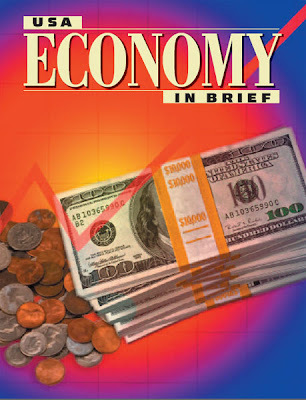 The ten largest economies of the world comprise of four European countries, three are in America and three are Asian, which make about 70 % of the world's economy. These economies are classified in terms of total GDP measured at purchasing power party (PPP). 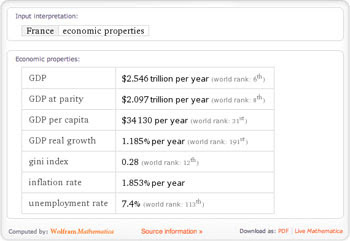 What is Purchasing Power Parity (PPP) ? Purchasing Power Parity is the method of measuring the relative purchasing power of different countries' currencies over the same type of goods and services, allowing a more accurate comparison of living standards. Italy is one of the four European nations to make the top 10 list of world's largest economies. This is a fair consequence of $1.774 trillion GDP in terms of Purchasing Power Parity. The population of Italy is about 60,681,514 with unemployment rate of just 8.4 %. Another of the four Euopean countries to make this list. France has worlds fifth largest economy by nominal figures and ninth largest in term of PPP. The county's GDP in terms of PPP accounts for a total of $2.145 trillion. It has the second largest economy in Europe with a population of 65,821,885 in contrast to an unemployment rate of 9.3%. Brazil is the largest country in South America and fifth largest in the world in term of land area and population. The country stands at number 8 with a total of $2.172 trillion GDP in terms of PPP. The country's population is about 192,376,496 with unemployment rate of 6.7%. Located in the north western coast of continental Europe, United Kingdom is the seventh largest national economy in the world having GDP ( in terms of PPP) of $ 2.173 trillion. It was one of the first countries to industrialize hence possess a dominant role in the global economy. The country has a population of 62,262,000 and an unemployment rate of 7.8 %. 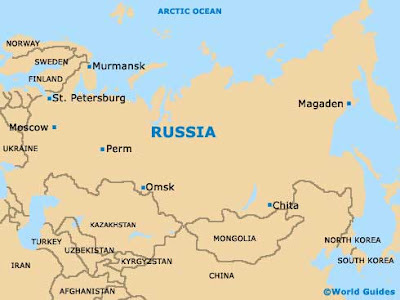 Russia, another of the European nations, is the ninth largest economy of the world by nominal value and sixth largest in terms of PPP having a GDP of $2.223 trillion. The country has faces serious decline of population over a few years but still accounts for a total population of 142,905,208. 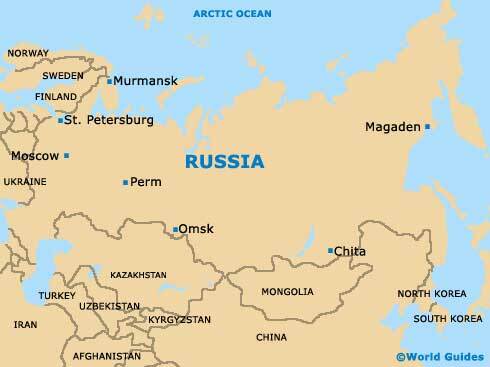 Unemployment in Russia is around 7.6%. Germany, located in west central Europe , is the world largest exporter but stands at number 5 in the ranking of world's leading economies with GDP (in terms of PPP) of $2.940. The country has a population of 81,799,600 people out of which 7.1 % are unemployed. 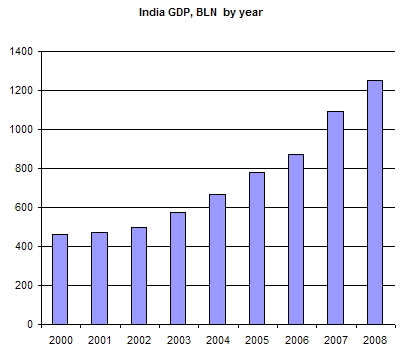 India making at number four of this list is taken as a surprise by many, but it has recorded highest growth rates in the 2000s and the fastest growing economy ever since. The country is one of the leading ones when it comes to population. The figures reach 1,210,193,122. The unemployment is relatively higher in comparison to the other countries though reaching about 10.8%. Japan is the third largest national economy in the world and the second largest developed economy. With largest electronics good industry, it accounts for a $4.32 trillion GDP in terms of PPP. Japan is also the third largest auto-mobile manufacturing industry. It has an unemployment rate of just 5 % in contrast with the a huge population of 127,960,000 people. Located in the east of Asia, China is the second largest national economy in the world having GDP of $10.09 trillion. Many economists presume that due to the ever growing GDP, China might overtake USA's top position in the list in a few decades from now. China has population of 1,339,724,852 and unemployment rate of just 4.3%. USA evidently tops the list. However its share in the world GDP in PPP terms has declined from 23.7% in 2000 to 20.2% in 2010 due to the financial crises from 2008 to 2009. 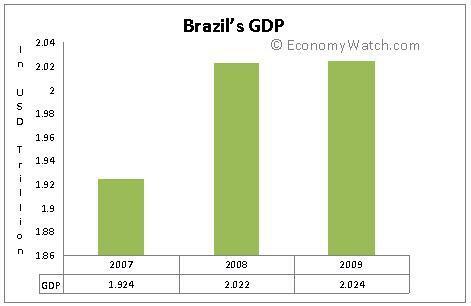 It has a GDP (PPP) of $14.66 trillion outdoing every other in the list. The country's population is 312,222,000 with unemployment rate of 9.6%.